How did the US judiciary become so powerful—powerful enough that state and federal judges once vied to decide a presidential election? What does this prominence mean for the law, constitutionalism, and liberal democracy? 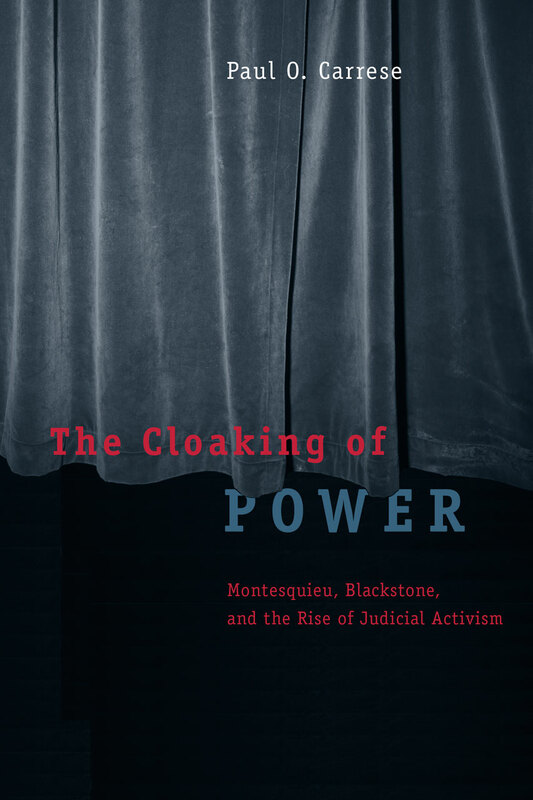 In The Cloaking of Power, Paul O. Carrese provides a provocative analysis of the intellectual sources of today’s powerful judiciary, arguing that Montesquieu, in his Spirit of the Laws, first articulated a new conception of the separation of powers and strong but subtle courts. Montesquieu instructed statesmen to “cloak power” by placing judges at the center of politics, while concealing them behind juries and subtle reforms. Tracing this conception through Blackstone, Hamilton, and Tocqueville, Carrese shows how it led to the prominence of judges, courts, and lawyers in America today. But he places the blame for contemporary judicial activism squarely at the feet of Oliver Wendell Holmes Jr. and his jurisprudential revolution, which he believes to be the source of the now-prevalent view that judging is merely political. To address this crisis, Carrese argues for a rediscovery of an independent judiciary—one that blends prudence and natural law with common law and that observes the moderate jurisprudence of Montesquieu and Blackstone, balancing abstract principles with realistic views of human nature and institutions. He also advocates for a return to the complex constitutionalism of the American founders and Tocqueville and for judges who understand their responsibility to elevate citizens above individualism, instructing them in law and right.